Description: To 290cm long. 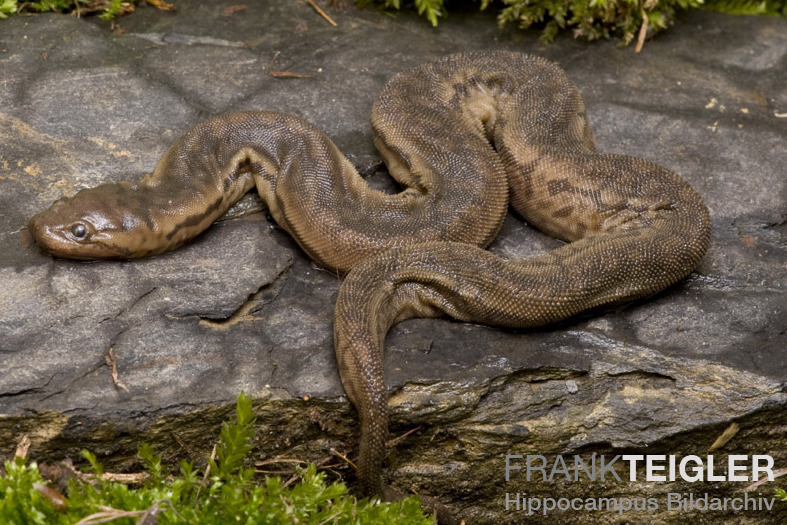 Thick body and loose folds of skin lead to the common name “Elephant Trunk Snake”. 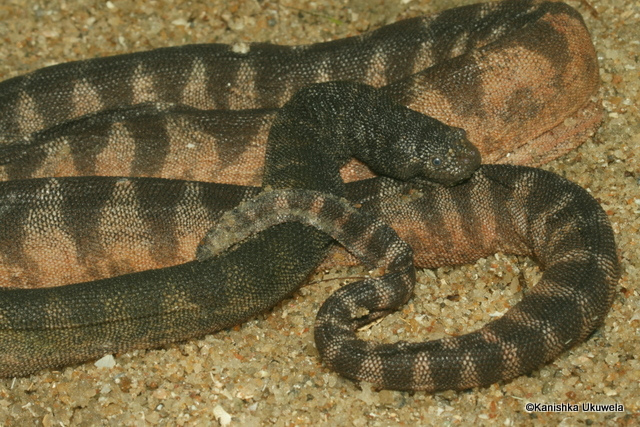 Skin is covered with small pyramid-like scales that are rough to the touch, giving the alternative common name “file snake”. Head is flat and wide with the nostrils and eyes positioned on top. Tail is round. 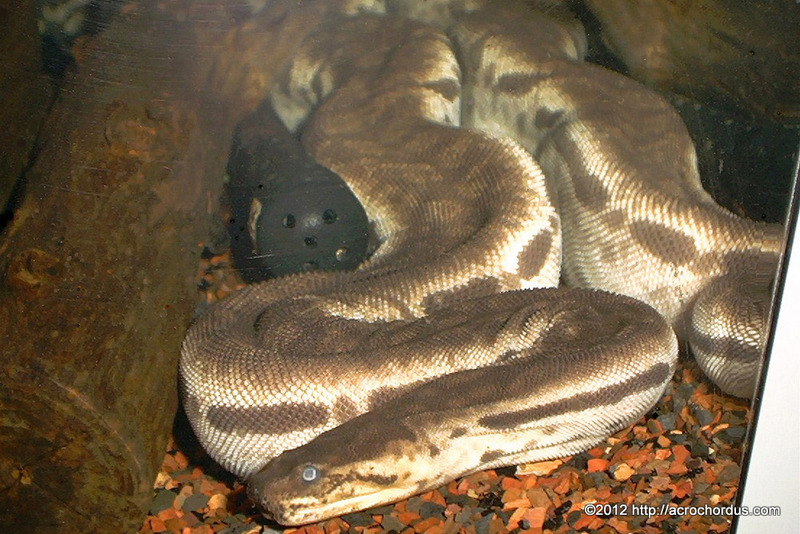 Body is olive-brown to grayish-black on top, fading to pale yellow with borken-up dark lines and blotches on the sides. Similar Species: Little File Snake is smaller and has cream bands rather than dark lines/blotches. 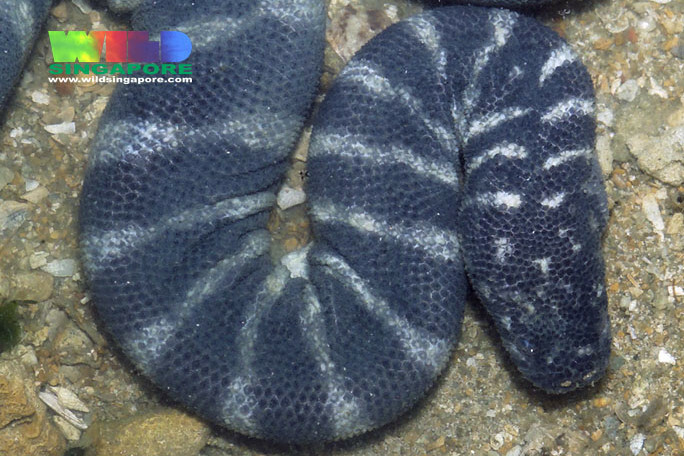 Sea Snakes of the Elapidae family have a paddle-shaped tail. 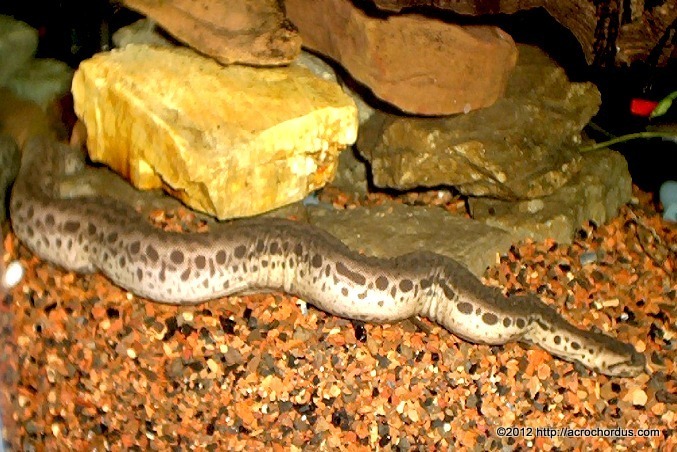 Habitat: The Javan Wart Snake is occasionally found in the ocean, but prefers the brackish or fresh water of slow-moving rivers and streams in coastal areas. It is able to live in ditches and canals of agricultural land. It becomes almost entirely aquatic as it matures and has difficulty moving on land as an adult. 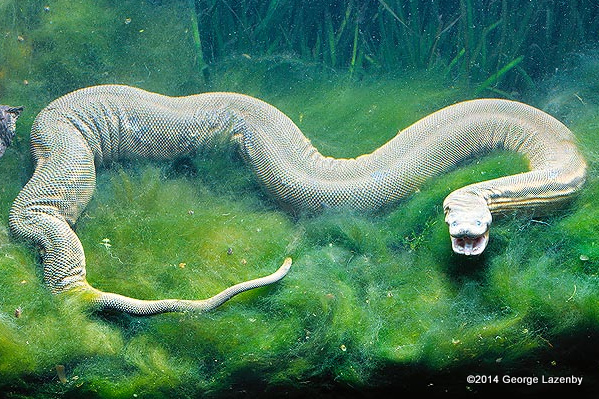 Usually hides in the roots of trees lining the water during the day, coming out into open water at night to hunt. Place in the ecosystem: The Javan Wart Snake feeds on fish and frogs. Smaller juveniles may be eaten by large fish, monitors and wading birds. Danger to humans: Has no venom, rarely bites and is not dangerous, though it can deliver a painful bite if it chooses to do so. Conservation status and threats: The Javan Wart Snake is currently common and populations appear able to withstand a great deal of hunting pressure and habitat degradation. Still, there are concerns as hundreds of thousands are killed each year for their skins, which are turned into leather after the scales are removed. Their flesh is also sold in markets and eaten. 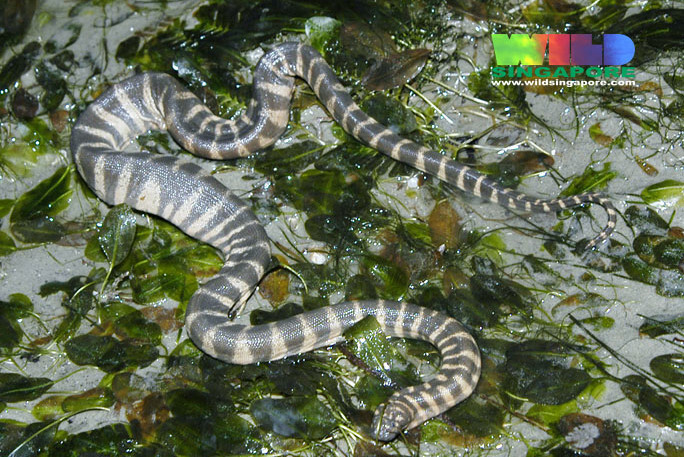 Interesting facts: The Javan Wart Snake surprises fish by ambushing them at the bottom of the water bodies where it lives. When it grabs a fish it grips it with the coils of its body, which are able to hold onto the slippery fish due to the rough, triangular scales. 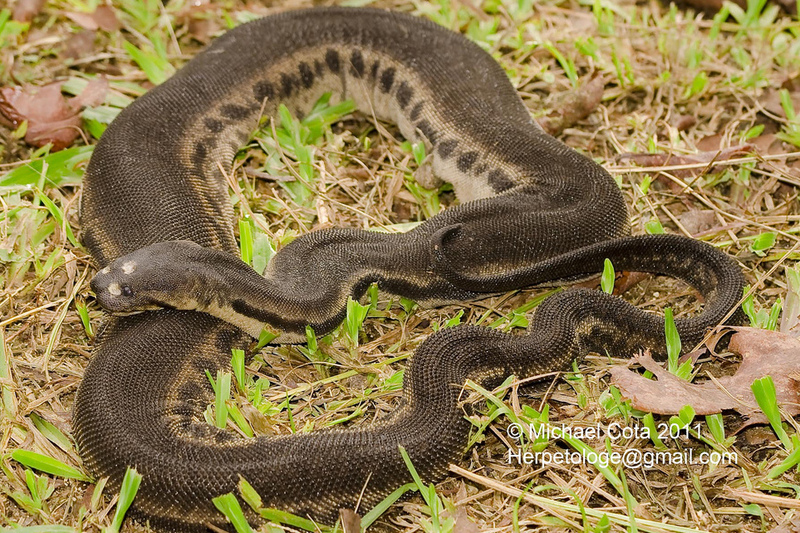 Female Javan Wart Snakes can be more than 50% longer and much thicker than the males, an unusual extreme in sexual dimorphism among snakes. Description: To 125cm long. Females are stout, while males are comparatively slender. 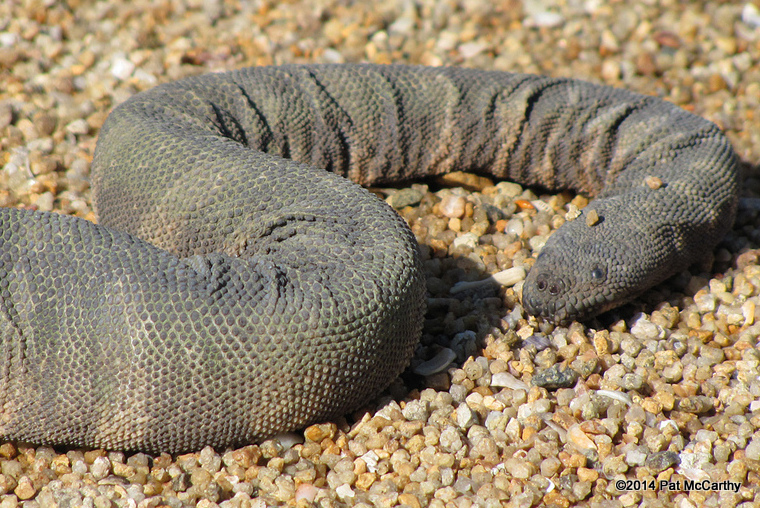 Skin hangs loosely on the body and is covered with small pyramid-like scales that are rough to the touch, giving it the common name “file snake” or the alternative name “wart snake”. 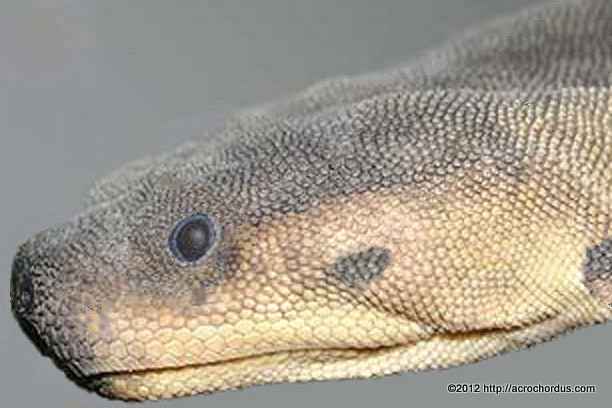 Head is flat and wide with the nostrils and eyes positioned on top. Tail is round and prehensile. Body is olive, blue, brown or black with white to beige bands. 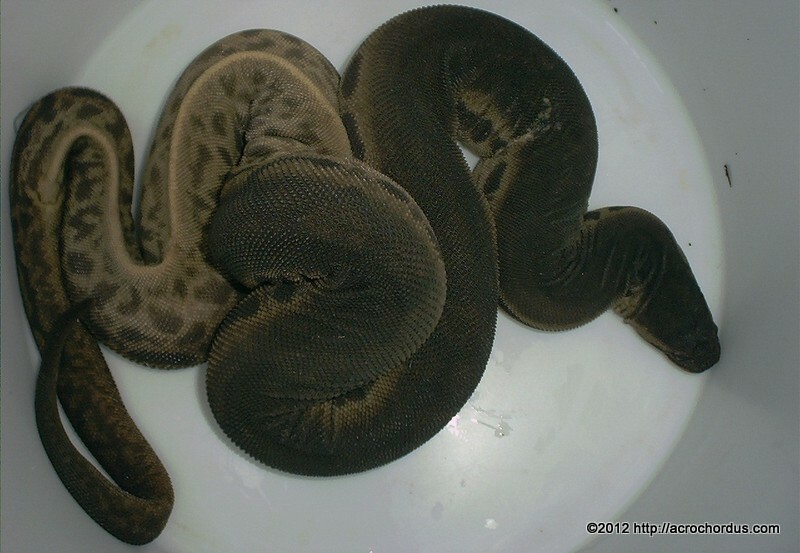 Similar Species: Javan Wart Snake is larger and has broken-up dark lines/blotches rather than transverse light bands. 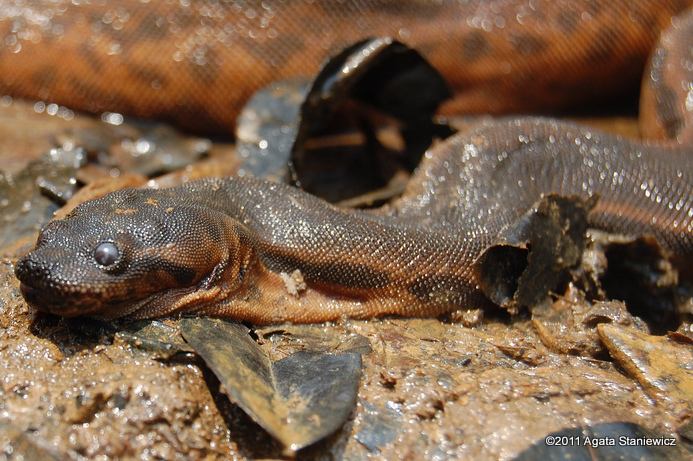 Keel-bellied Water Snake is more slender, lacks the loose skin, and has a clear white belly. 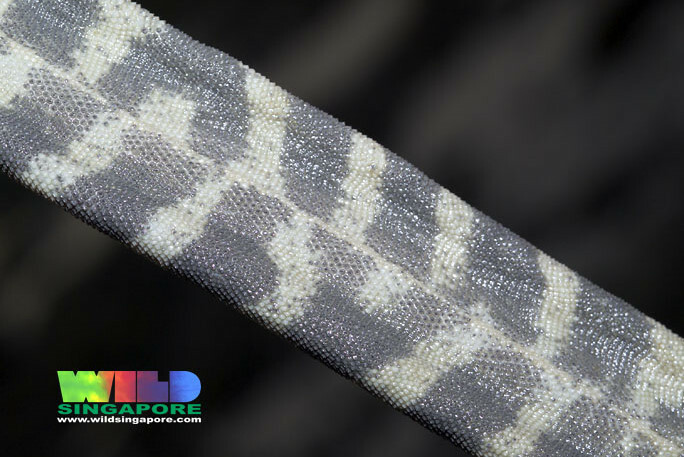 Banded Krait has a triangle-shaped body and lacks the loose skin. 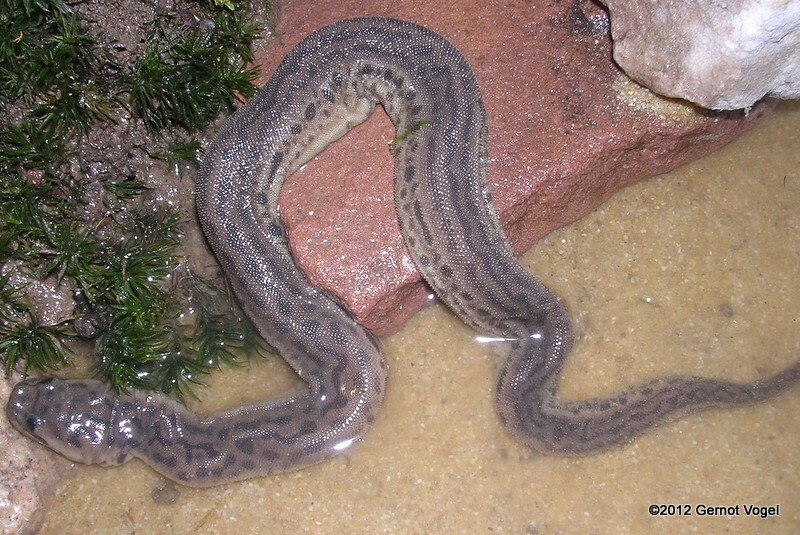 Habitat: The Little File Snake is found in the ocean as well as in estuaries, swamps, ponds, and rivers in coastal areas. It is almost entirely aquatic and can be found up to 10 km offshore in waters as deep as 20 meters. During the day it buries itself under cover below the water, coming to the surface occasionally to breathe. 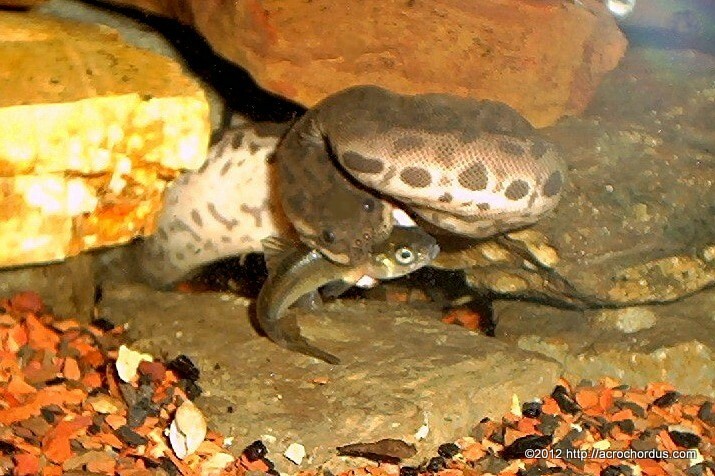 Place in the ecosystem: The Little File Snake feeds on fish. Smaller juveniles are eaten by monitors, large fish, and wading birds. Danger to humans: Has no venom, is usually passive and is not dangerous to humans. 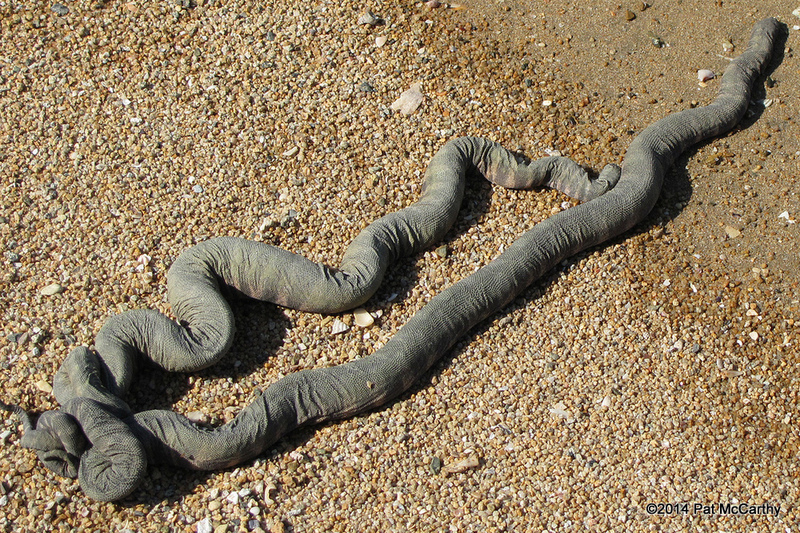 However, it can easily be confused with sea snakes, which pack a deadly bite, so exercise caution before handling. Conservation status and threats: Is common and widespread. Some are collected for the pet trade, for food, or for their skins, but this does not appear to be a threat to their populations. Many are killed accidentally by netting operations in shallow ocean water, but at this point the incidental take appears to be sustainable. Interesting facts: The Little File Snake contains more blood in its body than similarly-size land snakes, with a much higher concentration of red blood cells. This allows it to stay underwater up to 139 minutes at a time, allowing it to wait patiently for the fish that form its diet. The male snakes of this species are skinnier and longer than the females, and tend to hunt their prey more actively.